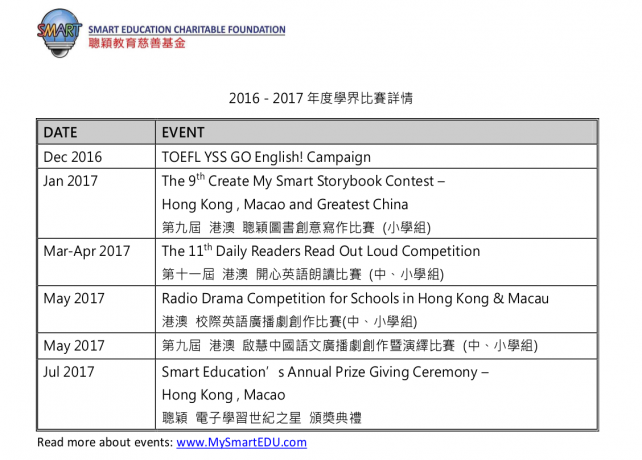 Smart Education’s Events 2016-17 kick off! Smart Education Charitable Foundation has always been committed to provide services for students, we organize a lot of activities and competition to create their other learning experience and inspire their ability of multiple intelligences. 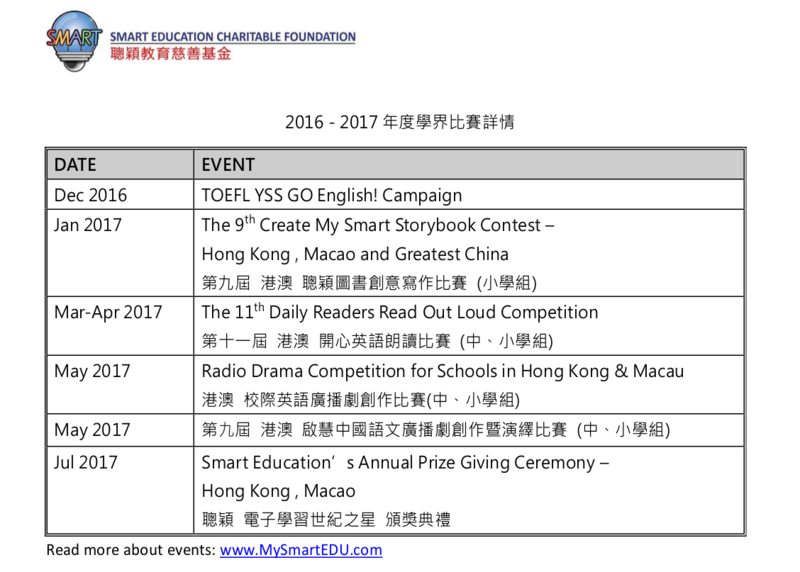 Below is the events calendar of 2016-2017, please click the DOWNLOAD button for more details. This entry was posted on September 5, 2016 by Ho Chloe.